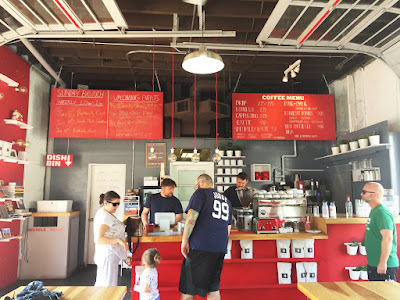 As many entrepreneurs have now proven, auto garages make excellent coffeehouses. 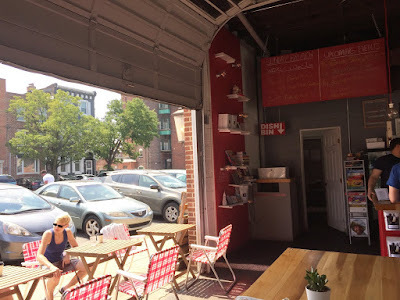 Maybe it's the rough-and-tumble aesthetic or maybe it's because people like large garage doors, but either way I've seen cafes successfully set-up shop across the country in similar concrete shells, each one offering a great community hub, especially in the summer. 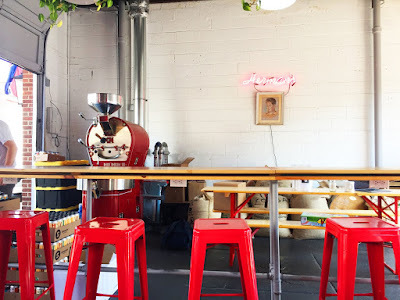 Not too long ago, Philly received a fine caffeinated addition in an old Pennsport auto repair. 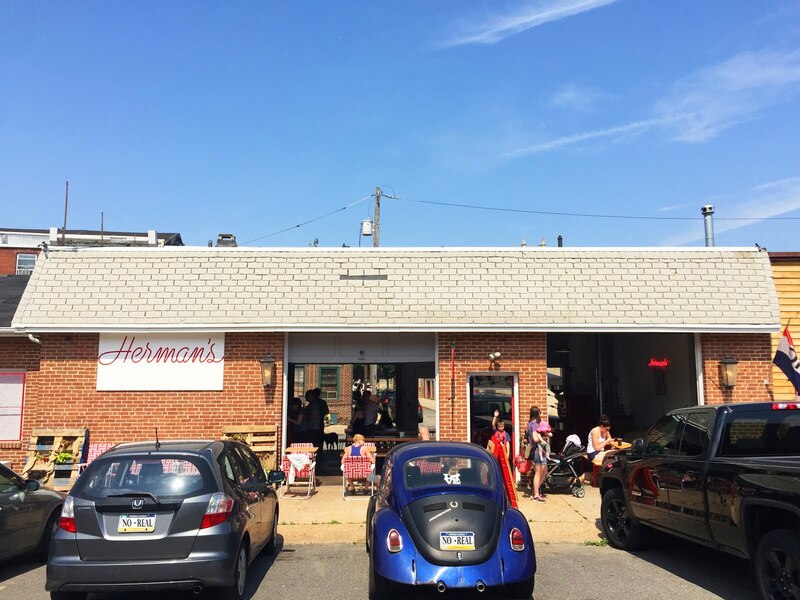 Inside a one-story garage, Herman's Coffee opened their doors last summer to great accolade, utilizing the name Herman and his love for red lawn chairs as an homage to the owner's grandfather. 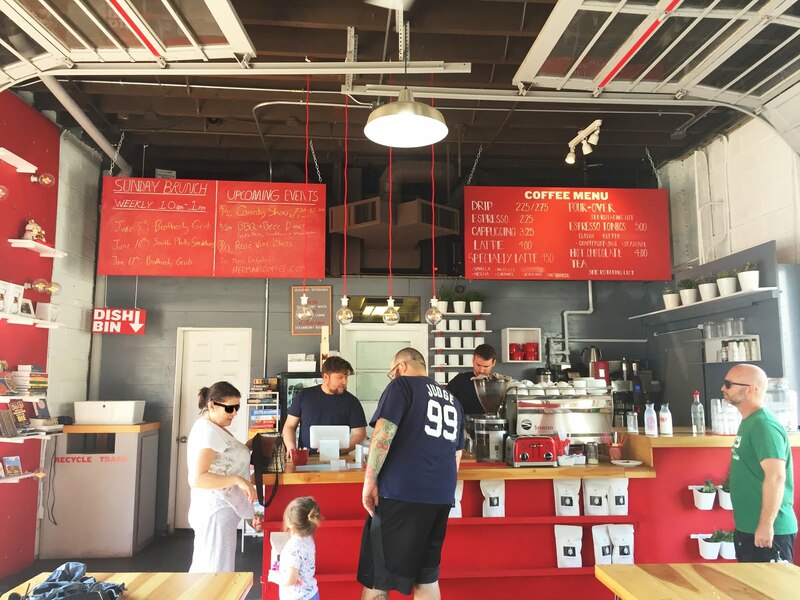 Not too soon after opening, the shop took off with its no-nonsense approach to coffee, not to mention the fact that the garage straddles two streets, a handy feature which allows for ample parking as well as a spot for food trucks to dock. One past morning I got a chance to stop by for a relaxing cup of coffee. Early on a sunny summer Saturday, the doors were wide open and patrons were bustling about, many of whom had secured a red lawn chair to sip their coffee and chat with their neighbors. Inside, the red-and-white interior also filled up, having many folks at their long wood tables and back bar. 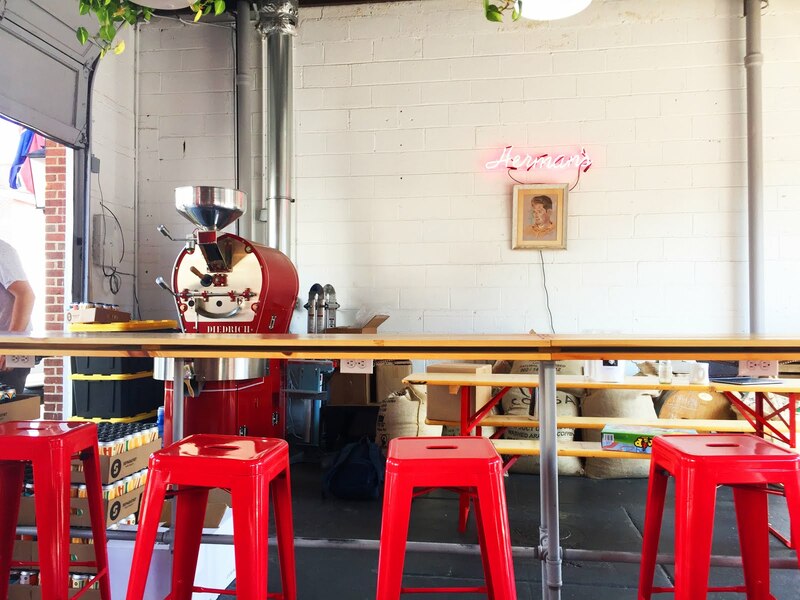 As for coffee, they roast their own beans, providing a variety of different coffees. That morning I ordered an espresso and a chemex of their Ethiopian Yirgacheffe. 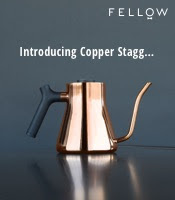 The espresso, pulled short/medium with brown crema, offered notes of dark chocolate, pear, cigar, vanilla shortbread, chicken stock and some mustard greens, proving robust, fairly balanced and more resembling a traditional espresso profile. 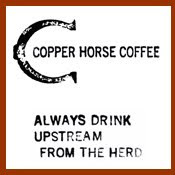 The Ethiopian on the other hand made for a lighter, more explosive cup, with bright punches of blueberry, sweet cherries, root beer, grape leaf, milk chocolate and a little black tea in a light/medium body. I usually don't have time to hang coffee shops when I visit, but I was able to take my time at Herman's and really enjoy the visit. If you're in the area, I highly recommend a relaxing stop to kick back in a red lawn chair and drink some coffee.